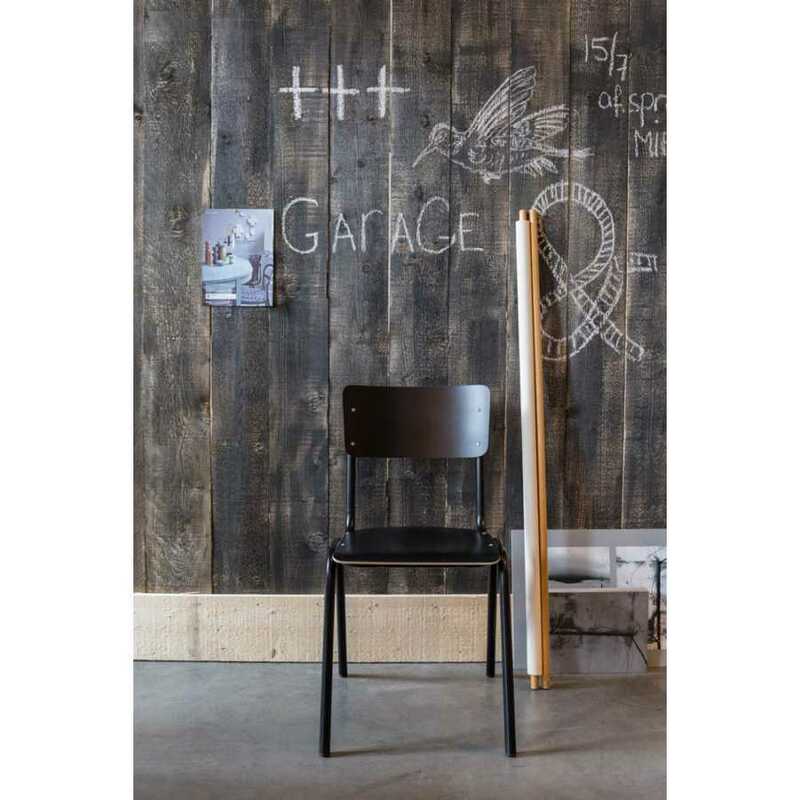 The Back To School Chair by Zuiver is a new and innovative take on the classic dull wooden chair seen in schools. 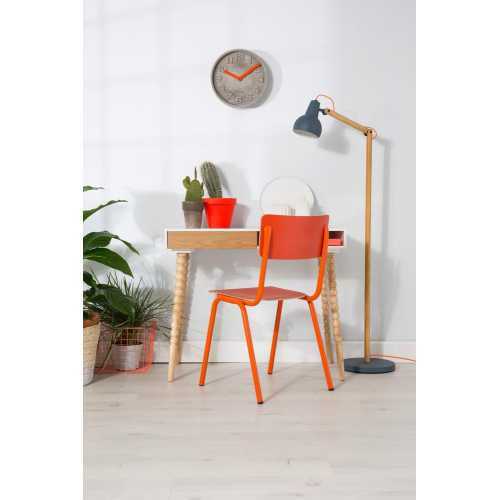 This simple chair design has been reinvented and now features vibrant, fin colour choices but has kept the simple plywood seat and basic steel frame. 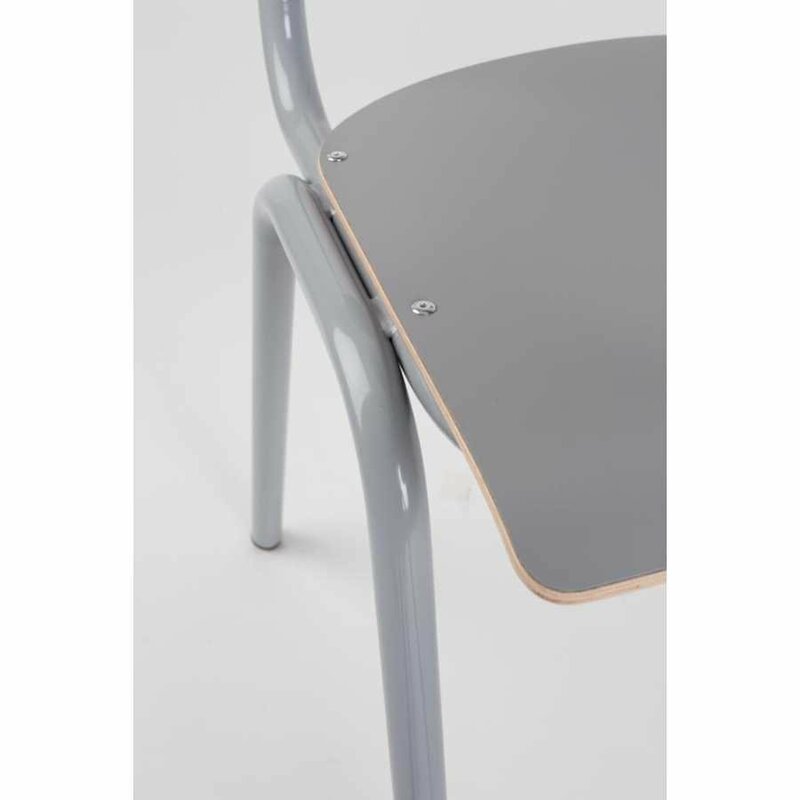 The plywood has been layered with a colourful HPL top layer and the steel frame has been powder coated. The basic form of the Back To School Chair by Zuiver enables stackable, easy storage ensuring a spacious and tidy room whether you are looking for a basic chair for your kitchen or children’s playroom. 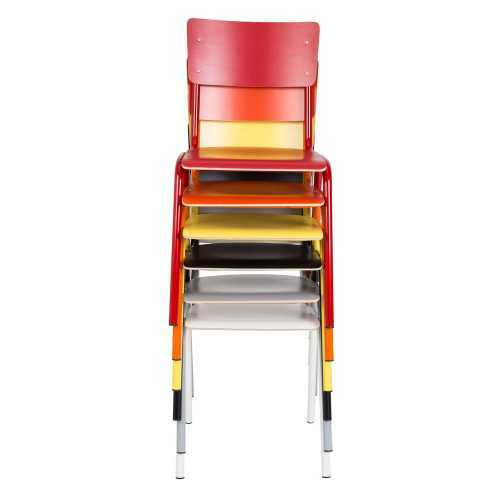 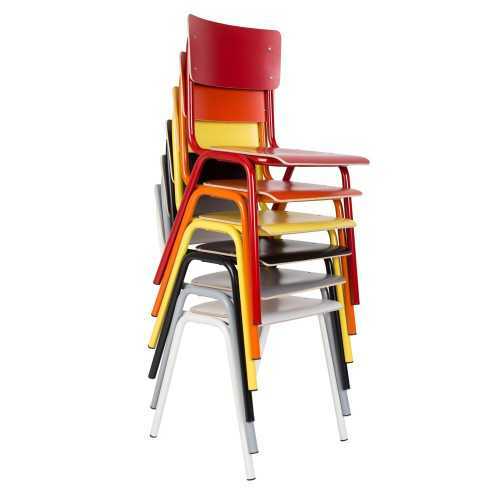 This fun and quirky bright and colourful chairs are available in Red, Yellow, Grey, Black, Orange and White. 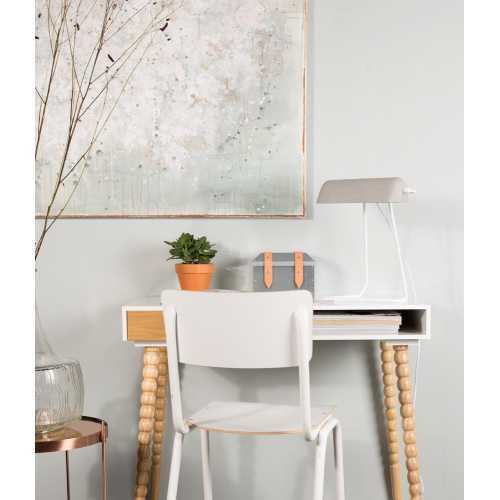 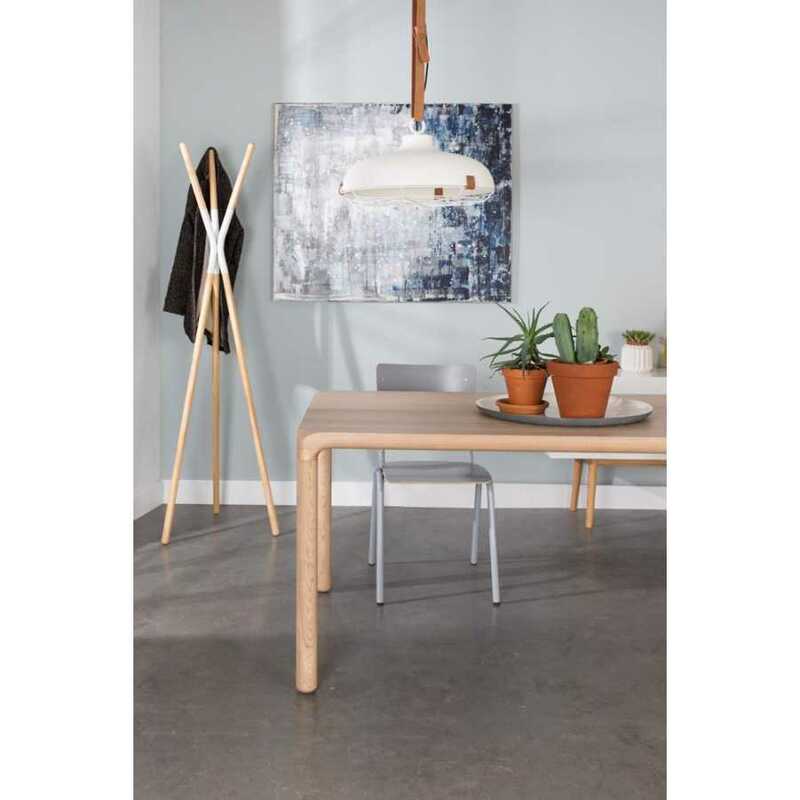 Dutch brand Zuiver specialise in reinventing household items and creating large collections of fresh, young and original products at affordable prices. 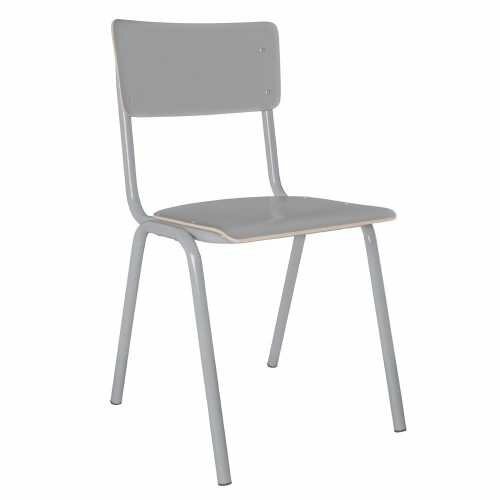 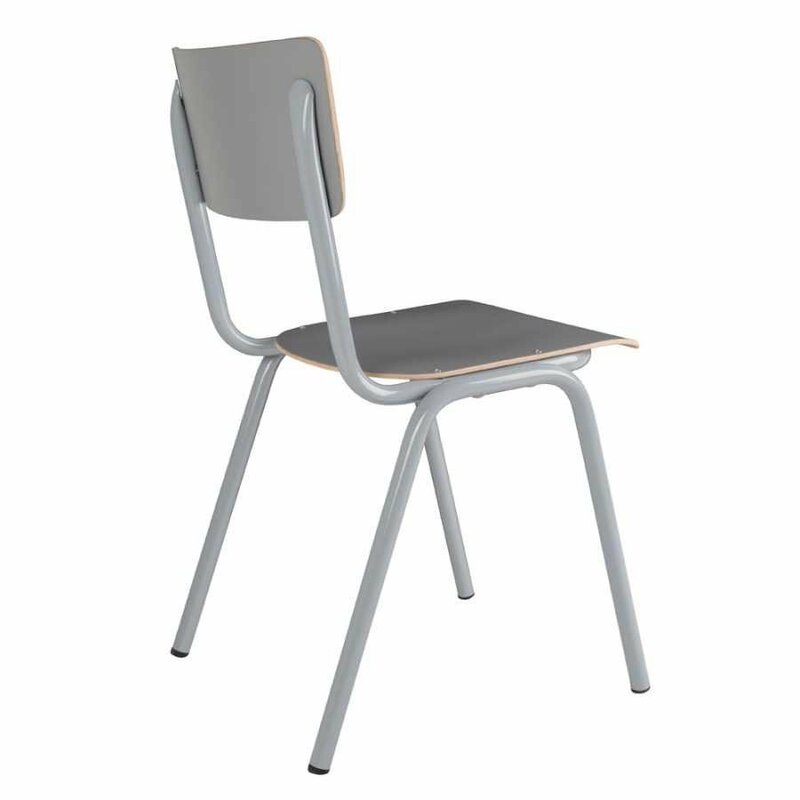 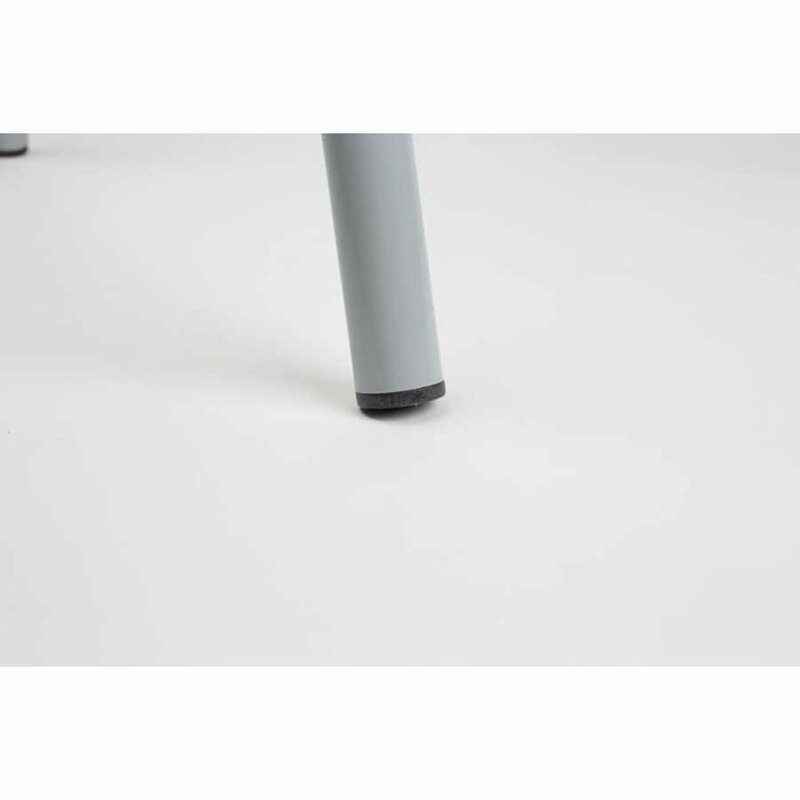 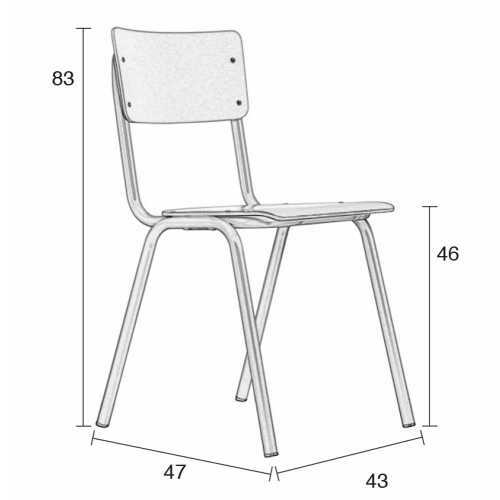 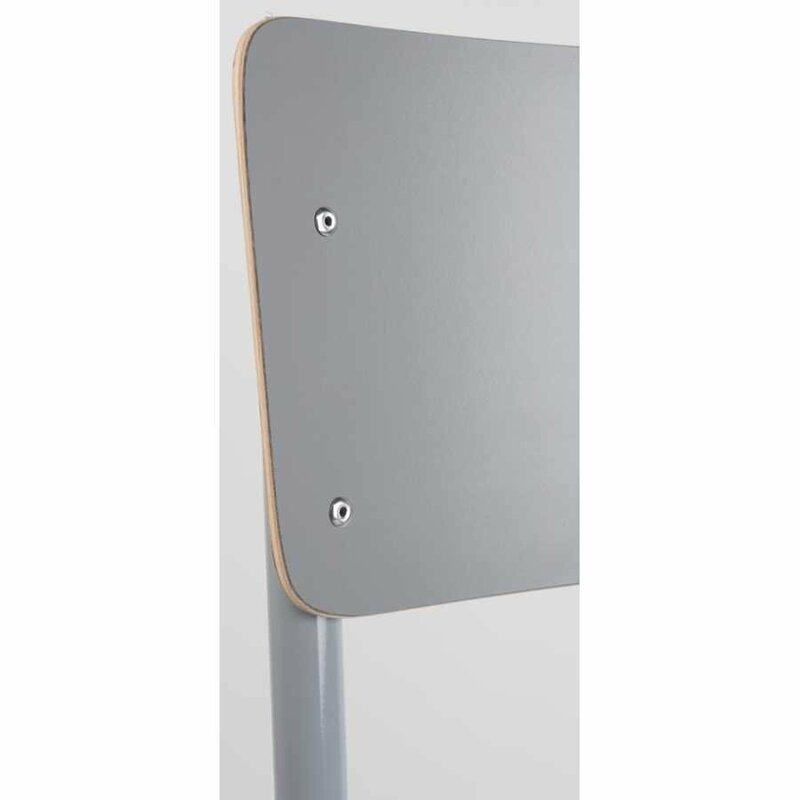 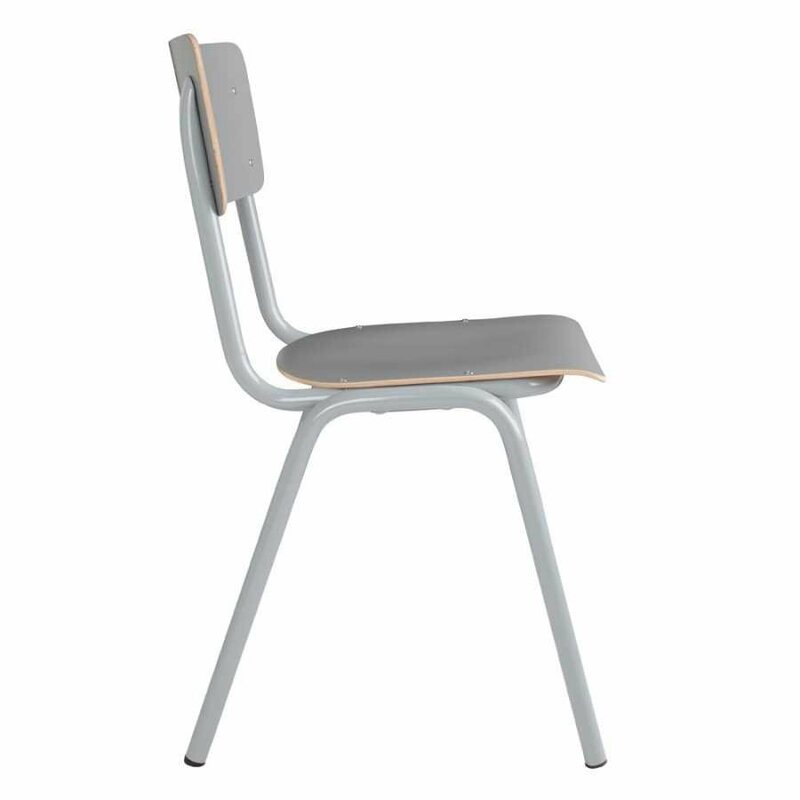 The Zuiver Back To School Chairs measure at 83cm height, 43cm width and have a depth of 47cm. 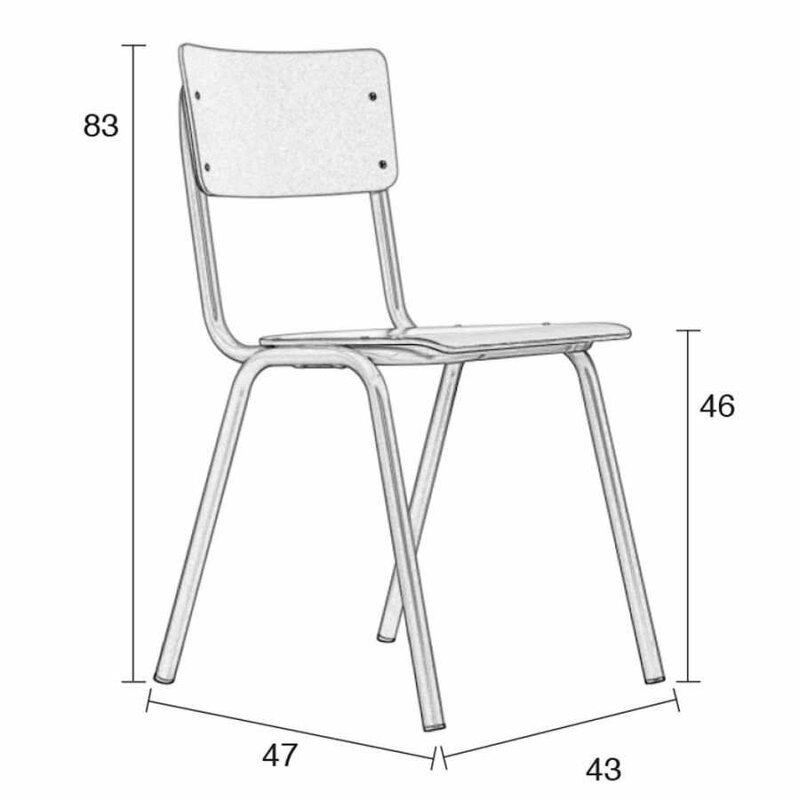 the seat of the chairs measure at 46cm in height.